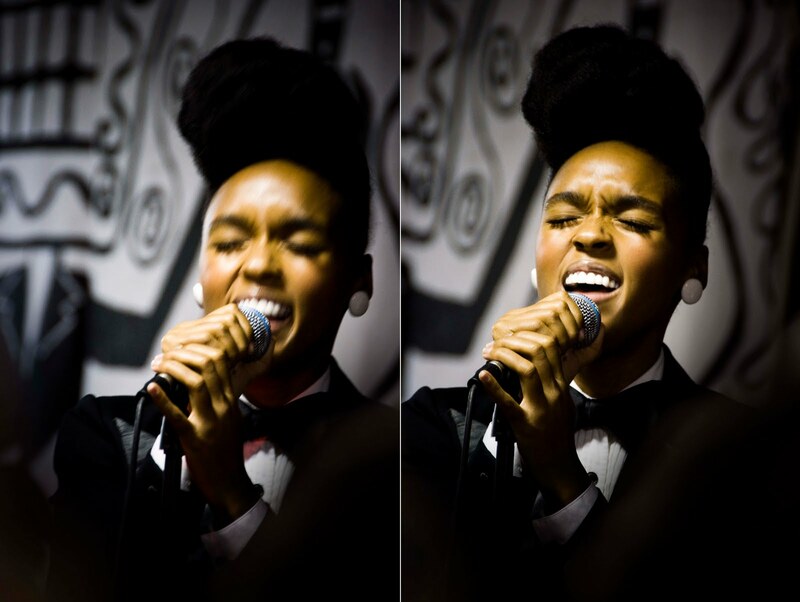 Janelle Monae + Live Acoustic = Why you should love your local record store! 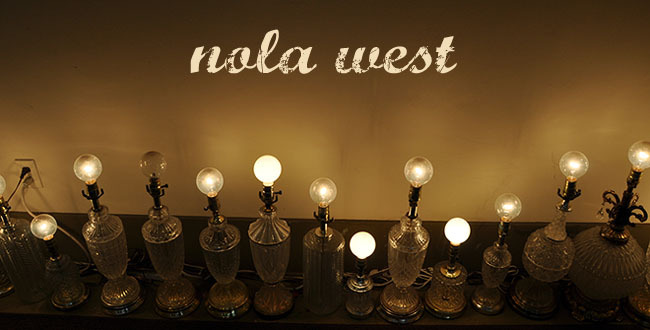 Cactus Music had one fantastic weekend of live in-store performances [+free beer]. We were able to soak in three diverse and entertaining artists: Houston's own Wild Moccasins, New Orleans' Anders Osborne and the sensational Janelle Monae. 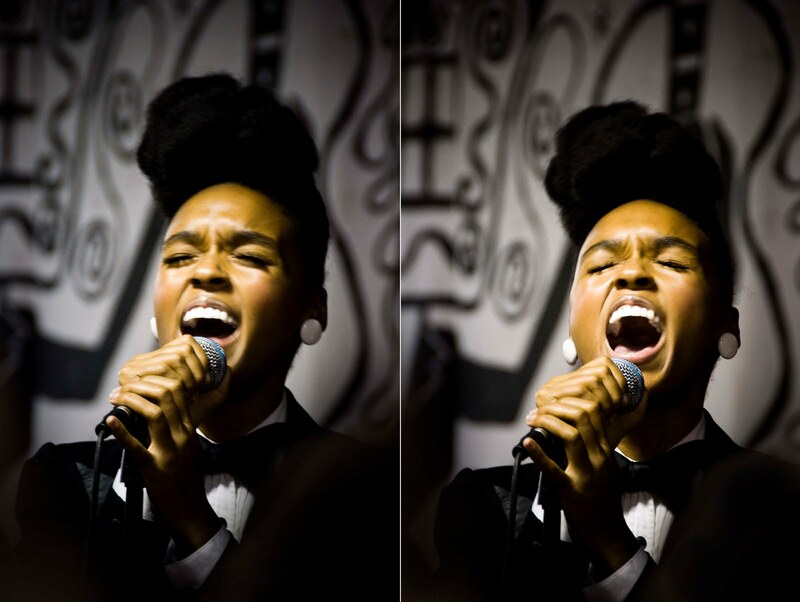 Didn't have the camera on Saturday but here are a few shots of Janelle belting out some beautiful melodies...and let me tell you 'she ain't just the pretty one'. no wayyyyyyyyyyyy!!! YOU GOT TO SEE HER. IN A SMALL OPEN SPACE? OK the questions begin: is her skin really that flawless? her hair that high? her entire being that darling??? I want her to teach me dance lessons! She is indeed an impeccable petite package. 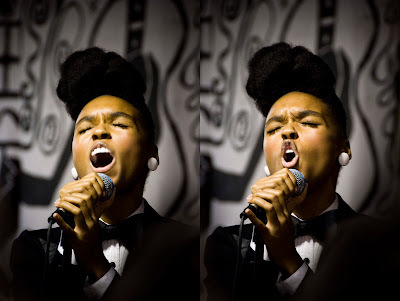 Her hair was a perfectly textured pompadour and her voice was powerful. I found that she was so appreciate of the Houston crowd and her whole posse was consistently spreading the message of love and gratitude [all in their 007 attire].